After Wu You's and Liu Jing'an's attendants tried their best, the attackers on the riverside immediately suffered heavy casualties. Most of them lost their lives in the blink of an eye. The rest of the attackers, after a short period of confusion, shouted and trembled. Apparently they were shocked by the two masters. "Retreat!" The look of the man with the golden hammer in his hand turned more dismal. He beckoned other attackers to leave. Then he turned back and retreated. "Don't let them run away!" Wu You and Liu Jing'an rushed to give orders to their attendants. The two masters chased them without hesitation and they were about to rush into the weeds. But at that moment, several fireb.a.l.l.s suddenly flew out from the weeds one after another and sword Qi came out. They went straight for the two masters. The two masters didn't take these techniques into account, nor would they be delayed. The old man made two shots and intercepted the fireb.a.l.l.s in the air. The strong and vigorous swordswoman avoided the attack with just her physical skills. Apart from Li Ye and Shangguan Qingcheng who didn't move, Wu You and Liu Jing'an who didn't need to move, the other youths of the Imperial Clan rushed forward, following the two masters. They wanted to kill more rebels and get more merit. After all, it concerned their career prospects. Even Song Yuanqiao, with the only remaining official, followed the crowd. By this time, the advantage was already on their side. But just as they rushed into the weeds, the abnormality happened suddenly! An extremely bright light rose suddenly from the gra.s.s. A pillar of white light with a diameter of no less than 15 meters appeared. It was 30 meters high, hollow, and the periphery was very large. It expanded towards the youths of the Imperial Clan and they all flew back one after another. Even Wu You's and Li Jing'an's attendants stepped backward because of the shock. At the same time, clumps of weeds turned into debris and flew in all directions like snowflakes. They saw the attackers had gathered together in the center of the weeds. In the white pillars which looked like water waves, their faces were somewhat distorted and blurred, and under their feet, many white lines were s.h.i.+ning. When they could clearly see the scene in front of them, Wu You's and Liu Jing'an's attendants shouted at the same time. However, when their voices fell, these attackers in the light pillar flashed and disappeared! With a 'Boom! ', the light scattered. Only the debris of weeds flew in the air before scattering. Looking at the scene, they were all stunned and couldn't believe for a moment that those attackers unexpectedly disappeared. The two masters sank their faces and were somewhat annoyed. The enemy vanished in front of them, leaving them shame. However, no one had expected that there was a Transfer Formation hidden in the weeds along the river. The debris was falling, and the mood of the people was not calm for a while. The youths of the Imperial Clan looked at each other, and n.o.body took the lead in speaking. At this time, the atmosphere was somewhat serious and strange. At this time of the fighting, four were injured or dead. Li Ji was seriously injured and his attendant died in the fighting. However, the murderers slipped away in front of them. Everyone felt angry. They came from the Imperial Clan and were outstanding young men in Chang'an City. They were exalted. But they were ambushed in front of a remote village so that every one of them felt humiliated and were annoyed to the extreme. "It's absolutely lawless. If we can't catch these people and bring them to justice, we'll lose face and the Imperial Court will lose its dignity." "I'll kill them all and destroy their souls!" Soon afterward, these youths spoke out and voiced their anger one by one. "These rebels arranged a Transfer Formation here. Obviously they're well prepared. And... it's very likely that they had a plan. They really can't be underestimated..." Song Yuanqiao said, with his heart still fluttering with fear. "It seems that these rebels are not ordinary people. They could build such a Transfer Formation, there must be a big force behind them!" "Your Highness..." Shangguan Qingcheng said to Li Ye in a low voice. Li Ye knew that Shangguan Qingcheng wanted to ask him what problems he had previously discovered. He waved his hand to show that this was not the time to talk about that. One of the six groups of the Imperial Clan had been damaged. Four people died. Three of them were the officers brought by Song Yuanqiao. The damage was so severe that Song Yuanqiao was very angry. However, he still asked for other people's opinions about whether they were going to leave and asked the Imperial Court if they were to send a large group of soldiers or continue investigating. All of them were youths of the Imperial Clan. Although their cultivations and abilities were different, their arrogance was the same. This matter concerned their career prospects. So n.o.body wanted to leave without figuring out anything. The attackers had retreated. They decided to continue exploring as Luoping Village was right there. They all wanted to go into the village to see if they could find any clues. They at least had to confirm the ident.i.ty of the attackers so that they could report to their commission. Li Ye looked up and around. The sky was blue, the river was clean, and the mountains were green and long. Everything here looked peaceful. But he knew that this peace was just an illusion. There were dangers everywhere. He could sense the danger hidden behind the mountains and rivers. And he was probably the target. After all, here was Hu County, and Song Yuanqiao was probably on Li Guanshu's side. What exactly was the ident.i.ty of the attacker? Were they rebels? Why did they lay an ambush by the river? What was the purpose of their attack? What was the force behind them? Were Song Yuanqiao and the master next to him going to attack him? When would they attack? Li Ye couldn't understand for a while. But he had a feeling that the answer might not be far away from him. Along the way into the village, Shangguan Qingcheng and Wu You were beside him. The former was his attendant, but Wu You didn't leave him and had the obvious meaning of protecting him. Li Ye could not help guessing secretly that Wu You had found something. The houses in the village were shabby. Compared with the buildings in Chang'an City, they were very dilapidated. There were more than 20 families in the village. But now there were few people in sight. The fighting along the river made them panic and shrink into their houses. They soon found out the details of the village. Most of the villagers were hunters, and they also planted crops. There was a large-scale farmland outside the village, in which wheat was planted. In the early fifth lunar month, wheat was growing well. There were not many people in the village; only a dozen old people stayed behind to take care of things. These youths who came from Chang'an City were used to a rich and comfortable lifestyle, and were unwilling to walk into those shabby houses. They gathered under an old locust tree at the entrance of the village. Soon Song Yuanqiao brought an old farmer to them. When the old farmer saw more than a dozen n.o.bles in fine clothes, he was obviously stiff and fearful. He stammered as he spoke, "There were more than a hundred people in the village... but some died and some fled... It was too miserable, and the people in the Taoist temple on the mountain were very vicious..."
Song Yuanqiao saw that the old farmer stammered as he spoke, so he let him stand to one side. He introduced the information he had previously learned from the old farmer to the public, "From this year on, the young people who went hunting in the mountain often disappeared without reason. The people who went to the Taoist temple to pray never came back. Later, there were rebels who looted villages. So the village sent people to the government to report it, but they also didn't come back..."
"Everyone in the village was afraid and thought that there were beasts and monsters in the mountains, so they fled... When finally the missing people fled from the mountains, the people in the village found out that there were many rebels gathered in the Taoist temple on the mountain. The missing people were captured by them, and the people who fled were also captured by them. Those who were captured were forced to be their slaves to help them repair the Taoist temple and create a wasteland..."
Wu You frowned and said, "So, those Taoist priests are the rebels who made trouble in the village?" Li Jing'an said, "Why did they do that?" The old farmer hesitated and said, "The people who fled back told us that the Taoist priests said that the government was corrupt, the emperor was fatuous, and the whole world was going to be in chaos, and they wanted to make friends with the Greenwood heroes, acc.u.mulate power, and were ready to revolt at any time..."
"They dare to rebel?! They're tired of living!" Hearing that, these youths became extremely angry. The youths of the Imperial Clan in Chang'an City were aware of what the Imperial Court was like now. The rumor that the Immortal sects and va.s.sal states expanded their group of cultivators without authorization was no longer a secret. Pang Xun and other people who made trouble before also had the a.s.sistance of cultivators from all over the country. But as the ruling cla.s.s, they knew that but they didn't agree with these things, nor could they tolerate them. "No wonder most of the attackers on the riverside were cultivators. They came from the Taoist temple. Only the people who came from the Taoist temple have such strength in Niushou Mountain, right? What's more, they have made friends with the Greenwood... Rebels!" Li Ji spoke at this time. Although he was injured, it was impossible for him to leave alone. "When I was in Chang'an, I heard that the Imperial Astronomical Observatory can't completely control the world's Immortal sects and Taoist temples. It seems that this is true." "These evil Taoist priests are really seeking death!" "It's enough to denounce them and all their relatives for the crime of treason!" "We should immediately report to the Imperial Court so that the Imperial Astronomical Observatory will send a Great Cultivator to destroy the Taoist temple!" These excited youths of the Imperial Clan chimed in and they all wanted to go to the mountain to kill those Taoist priests. When this scene happened, Shangguan Qingcheng returned with many unripe oranges she picked from citrus trees on the farmland outside the village. She lived in Chang'an City as a child and had no idea about farming. At this time, she didn't walk on the field path, but stepped directly onto the field and trampled on the wheat which was growing well. Li Ye took a look at the old farmer. The old farmer cowered and stood aside, not looking at Shangguan Qingcheng who was in the fields outside the village. 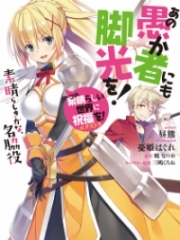 You're Read The Promise Sealed With Our Lips Chapter 73 online. If you find any errors or translatation mistakes, please let us know so we can fix that as soon as possible. You're reading The Promise Sealed With Our Lips by Author(s): Guan Gai Man Jing Hua, 冠蓋滿京華. 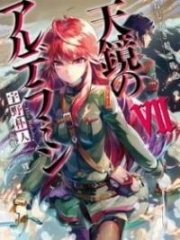 This novel has been translated and updated at LightNovelsOnl.com and has already 66 views. And it would be great if you choose to read and follow your favorite novel on our website. We promise you that we'll bring you the latest novels, a novel list updates everyday and free. LightNovelsOnl.com is a very smart website for reading novels online, friendly on mobile. If you have any questions, please do not hesitate to contact us at [email protected] or just simply leave your comment so we'll know how to make you happy. Current Time is 20-Apr-2019 16:10:50 PM.